TICKET UPDATE as at 5/12/2014: The online and telephone box office has now closed for this concert. Tickets will, however, be available on the door on the night. The cathedral doors open at around 6:15pm on 6/12/2014. 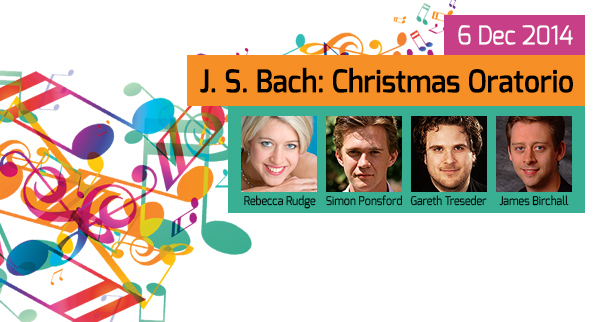 Start your Christmas with Bach’s joyous and celebratory seasonal masterpiece. Written to be performed in 6 parts, from Christmas to Epiphany, we are performing parts 1, 2, 3 & 6, rich with jubilation, devotion and contemplation. Discover the sheer beauty of the Christmas story – the perfect way to get into the festive spirit. Special Offer: Get a seat in the Front or Mid Nave for £20 (£10 under 16s) with any Berlioz Front Nave ticket (both concerts must be booked at the same time).